WHEN TRAVEL DOESN'T HEAL. - Travel Soul Therapy Blog. The news of Anthony Bourdain tragic end struck like an arrow reaching a target in a most painful way. For all those who had traveled and those who traveled only through watching recorded peregrinations of an iconic traveler with a knack for tasty foods the experience of loosing him was a painful hit. For me and others who revere and experienced travel as a sublime path of personal growth with therapeutic quality of healing and transformation, a question welled up at once. Why anyone having an opportunity to travel often to diverse and exotic locations would terminate their life to gracefully grow into an age filled with wisdom and authenticity? What wasn’t enough in this picture of a successful life with rare alignment of passion and making a living from it. We should stop pathologizing taking one own life as a disease. We will not find a presence of a specific pathogen in the brains of late Kate Spade, Anthony Bourdain or others that taken their own life. There’s no pathogen in the water, food or air that could be contracted and cause so-called “mental disease” equated with suicide. It doesn’t mean that there was no suffering. That brings us to examine at least in broad terms where suffering comes from. When we look at physical support systems of these individuals, we observe that their physical needs for survival were adequately met. “Travel changes you. As you move through this life and this world you change things slightly, you leave marks behind, however small. And in return, life – and travel – leaves marks on you. We find that in essence, the cause undetectable by organs of physical perception – the hidden code of meaning, a particular tendency of consciousness might point us in a direction of an answer. Suicide is a culmination of a crisis of meaning. In this case it peaked during travel. Although travel could be effective therapeutic process when is taken with intent of using its uniqueness for a purpose of deepening self-understanding, and creation of distance as a shift in perspective on one’s own life. Despite of this hidden potential for inner growth and transformation, travel could be used for many other reasons as well. Such as a pursuit of curiosity, leisure, escape from boredom and a chase of exoticism. It could also be made into a business with its demands for profitable outcomes, stress of competition and a requirement to manipulate the experience for popularity. Travel might be difficult as a logistical adventure, unpredictable and uncomfortable, but when it is done with an intent of leaving the comfort for growth and valuable experience – it reveals something to us about ourselves that we didn’t know and we accept something that perhaps we couldn’t under mundane circumstances, surrounded by familiar social culture and conditions. I think when we travel to produce in front of a screen, we are compelled to act, to become that public action figure which required to perform certain script. This is where disconnect between inner yearning for intimacy with experience and flow, and a demand to act out a spectacle could be taking place. Where impulse to “come home” to ourselves by relinquishing to perform the roles required and cast by our culture, and dive into a deep and open space of self-acceptance, which is a process of healing the soul, an innate desire to bring a mind into balance – in a nutshell. Moving into self-acceptance is a precursor to one of the layers for falling in love with your life. How can anyone in love with their life intentionally kill themselves? What is it about our life that gives rise to loving ourselves? It is a recognized wish to be happy supported by intention to experience it. But this alone will not be fulfilling. Experiencing happiness in isolation is a contradiction in terms, it is not possible. Only when experience is shared, it is truly lived. When we are connected to others and do something for others’ sake, our focus shifts from obsession with measuring our own state of happiness to a desire to be useful to others. And that is where we find fundamental meaning for our life – through connection to others. Seeing how our living presence makes a positive difference for others heals our imagination, our interpretation of our definition of how successful and meaningful our life is. Kristen Powers shared in the USA Today that when she attempted to take her own life by gassing herself in the oven, she pulled her head out only when an image of her younger brothers, also grieving her father’s sudden death, flashed in her mind. She couldn’t do it to herself because of how she saw it would affect others. 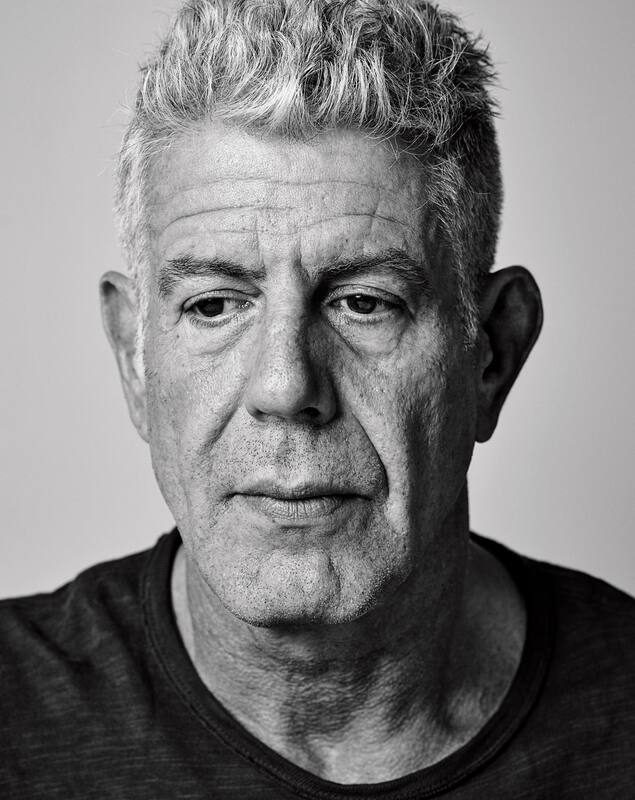 If only Anthony Bourdain could imagine how devastating living through this loss would be for his 11 year old daughter and many friends, fans and followers that loved him. Unfortunately that part that would allow to be intimately connected to others is an experience of completely accepted self. It is an experience of a spontaneous inner child that is free from blame and any sense of shame or wrong. An innocent inner child is an archetypal definition for a form of consciousness which takes place when we enter this world and begin to form our identity through the process of defining ourselves through unique relationship to our caretakers and the world. Reality works very specific way – that is so that whatever we focus on is magnified. This is the power of the mind – trough it we give meaning to our experience and assign value and significance to our being here. It is not given, but chosen by each one of us. Sometimes we have to step in and while recognizing a crisis consciously reach out and enlist a good friend, or a spiritual mentor who can hold that space of acceptance for us. We should stop ascribing pathology, or telling those who excavating a deeper meaning in their life to seek therapy, we need to encourage and normalize creating a life of authentic meaning based on firm foundation of understanding of our connection to others. By a nature of its process travel is a potent catalyst, a dynamic condition for deepening understanding of oneself, but it will not heal your soul – a conscious action is required. Travel could be a path that leads to increased self-awareness, healing and expansion o consciousness. Perspective gleaned from spending time traveling, observing and contemplating has a power to reveal our place and influence though connections to others by seeing how our presence is meaningful, and where we belong within a web of all existence, those close and far.